Our friends at the Asia Society offered limited seats to attend this panel discussion. On the campaign trail, Donald Trump repeatedly denounced the Joint Comprehensive Plan of Action — the “Iran Deal” to dismantle that country’s nuclear program — and said he would withdraw from the agreement. Just days after the inauguration, Iran conducted missile tests, drawing a warning from President Trump that Iran “was playing with fire.” Relations between the two countries have remained contentious, and the escalation and potential for conflict are causes for concern. Against this backdrop, Iran held its presidential elections on May 19 and reelected President Hassan Rouhani. As we celebrate this Memorial Day, we should consider some of the important issues facing our service members. On a national level, an extension of the Veterans Choice Program -- a new, temporary benefit that allows eligible Veterans to receive health care in their communities rather than waiting for a VA appointment or traveling to a VA facility -- has resulted in budget cuts to VA benefits, as a tradeoff. While the merits of proposed tradeoff is certainly debatable, many veteran groups, especially the older VA groups, such as American Legion and Vietnam Veterans of America, have been critical of the proposed cuts because it adversely impacts the older veterans the most. 1. Int. 1259-2016 to Add Veteran and Military Status to the NYC Human Rights Law. 2. Int. 1304-2016 to Implement the Alternative (School Tax) Exemption for Veterans. 3. Res. 1196-2016 to Support Complete Passage of “Fairness for Veterans Act” Provisions. Motion Debate: Has “Political Correctness” gone too far? his is an invitation to attend and watch a live Motion Debate as an audience. This event is in collaboration with MotionDebate.com, as part of the monthly debate series. It's free to attend and complimentary beverages will be offered. Click here to complete the registration at an external website. This month's Motion: Has “Political Correctness” gone too far? Michael and John will team up against Katherine and Christine in debating for and against the Motion, respectively. PC is commonly defined as "the avoidance, often considered as taken to extremes, of forms of expression or action that are perceived to exclude, marginalize, or insult groups of people who are socially disadvantaged or discriminated against." Has the PC culture gone "too far" -- in other words, is PC more harmful than helpful to society? What do you think? Join us for another exciting monthly installation of the Motion Debate! Read more about Motion Debate: Has “Political Correctness” gone too far? This is a multi-part discussion series examining the ostensibly-sudden rise of nationalism in different parts of the world, including the U.S.
• The emergence of the "Identitarian movement." • Influences and precedents from Brexit and Grexit. • Trends and patterns from key elections in the Netherlands, Austria, France, and Germany. • Backlash from the refugee crisis, sudden demographic changes, and the recent terrorist attacks. 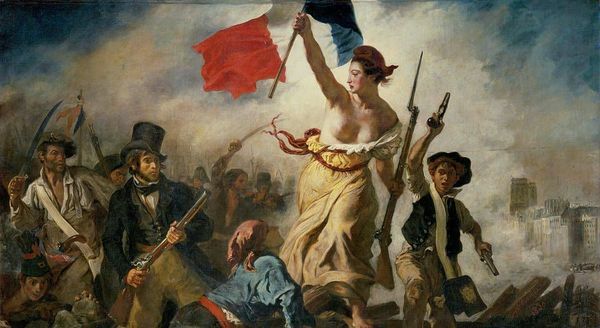 • When and how "Populism" spills over into "Nationalism." • When and how "Populism" can trigger to economic and military isolationism. ** For Parts Two to Four, we'll examine Nationalism in other parts of the world, including in East Asia, India, Russia, Turkey, Latin America, and the U.S.
*** This discussion series will segue into an upcoming discussion on the historical roots of modern "nationalism," stemming out of the Treaty of Versailles and the prelude to World War Two. A partial video footage captured at Columbia SIPA. Professor Steven H. Nemerovski of Columbia University's School of International and Public Affairs (SIPA) speaks at a panel discussion hosted by the NYC Political Forum. The topics include: 1) a discussion of political third party; 2) sensible reforms; 3) and how citizens can get engaged. 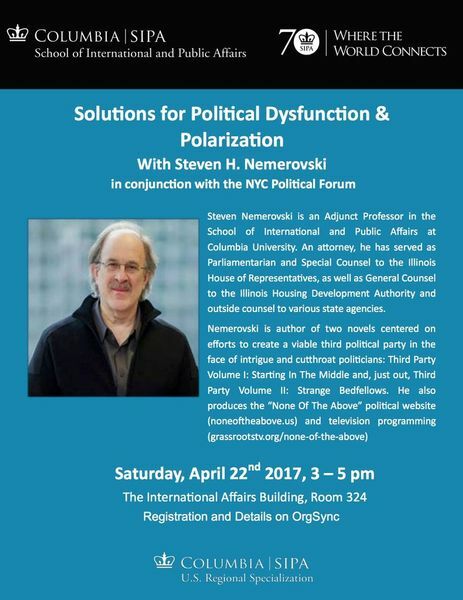 Additionally, Prof. Nemerovski will discuss more about "None Of The Above," an initiative to confront and develop solutions for political dysfunction and polarization. Columbia SIPA students will be joining this event. • Myths and common misconceptions about third parties. 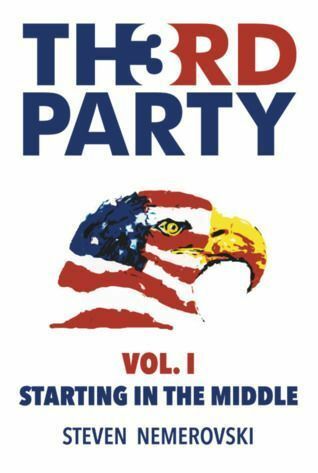 • A viability of a third party in the upcoming election cycles. • Partisan dilemmas, pitfalls, and strategic challenges for both sides of the isle. • Historic factors giving rise to the current partisan gridlock. • What are the sensible reforms for either or both parties? Since March 2011, on the heels of the "Arab Spring," a bloody and complex civil war has erupted and ravaged Syria, resulting in one of the most complicated international, geopolitical crisis in the modern times. In the past twenty-four hours, the U.S. launched a unilateral military strike -- thereby effectively making an entry into this multi-national conflict, six years in making. • What are the moral arguments for and against the military strikes? • Was the unilateral use of military force justified and proportional? • Should Pres. Trump have sought Congressional approval beforehand? Was the military action an overreach by the Executive Branch or without a proper legal basis? • What does this mean for the "Trump Doctrine" -- a shift from "America First" to regime change and nation building in the Middle East? • How will this impact the geopolitical dynamics in the region vis-à-vis Russia, Iran, Turkey, Saudi Arabia, Egypt, Israel and others? How will the rest of the world react? • How will this affect the current Syrian refugee crisis? • What role should the U.N. and the International Criminal Court play in prosecuting Assad? • Will this inevitably lead to partitioning of Syria? 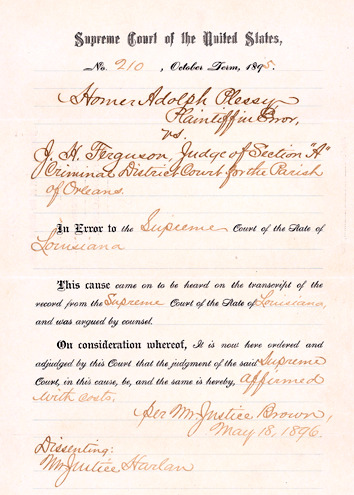 For this meeting, we'll read and discuss the Plessy v. Ferguson decision, 163 U.S. 537 (1896). *** PLUS, we'll discuss the confirmation of Justice Neil Gorsuch to the U.S. Supreme Court. We'll discuss his previous high-profile opinions, as well as the political controversy surrounding his nomination and the eventual Parliamentary-rulemaking maneuver for his confirmation. Motion Debate: Is "Stop and Frisk" an effective policy? Synopsis: During his campaign, then-Candidate Trump called for the controversial "stop and frisk" policy to be instituted nationwide, as a means to combat violent crimes. 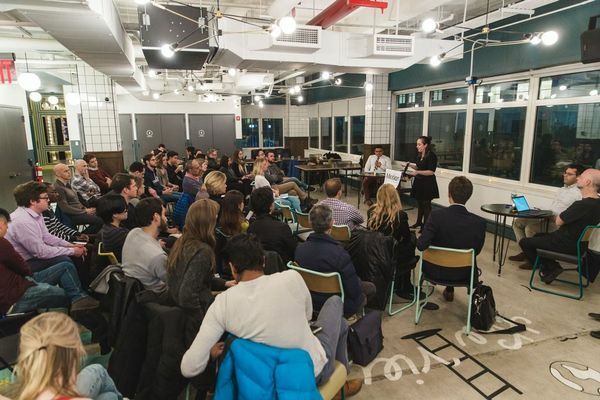 Advocates for the idea point to its success in New York City, where the implementation of stop and frisk led to a 75% decrease in crime, and significantly less gun-carrying. However, strong dissent from civil rights organizations challenges the effectiveness of such an invasive procedure, believing it unfairly targets young male minority groups. Police stops in NYC soared some 600% since the 1990s, with 80% of those stopped being Hispanic or black. A 2013 decision from the Federal District Court for the Southern District held that the NYPD violated the Fourth Amendment by conducting unreasonable searches and the Fourteenth Amendment by systematically conducting stops and frisks in a racially discriminatory manner (see Floyd v. City of New York, 959 F. Supp. 2d 540). Is this controversial policy worth it to make cities safer, or is there an alternative method to achieve the same result? Join us for an exciting dose of civil discourse! 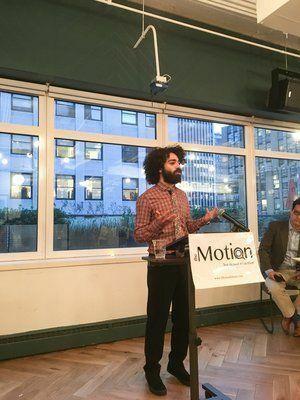 Read more about Motion Debate: Is "Stop and Frisk" an effective policy? Monthly Discussion -- U.S. Atty firings, "TrumpCare,"­ Post-Brexit UK + Debate! We'll resume our "regular" monthly roundtable discussion, covering the most compelling stories and events unfolding in our City, the Nation, and around the World. As always, there's plenty to discuss! • The Nation: the demise of "TrumpCare" and the fate of Obamacare. *** MINI-DEBATE: Is NATO still relevant and effective, as originally intended? Read more about Monthly Discussion -- U.S. Atty firings, "TrumpCare,"­ Post-Brexit UK + Debate!